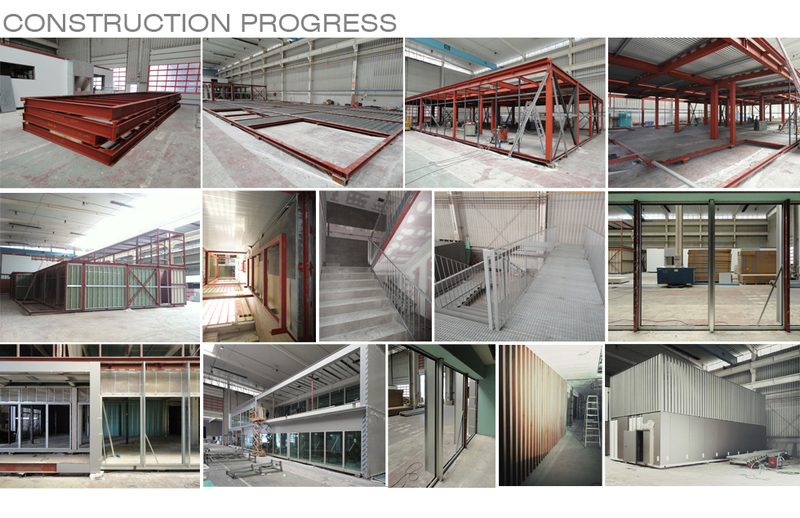 This fully industrialized building is currently under construction in Modultec’s factory in Gijón (phase 1) and will be soon shipped and assembled in its final location in Libreville, Gabón. 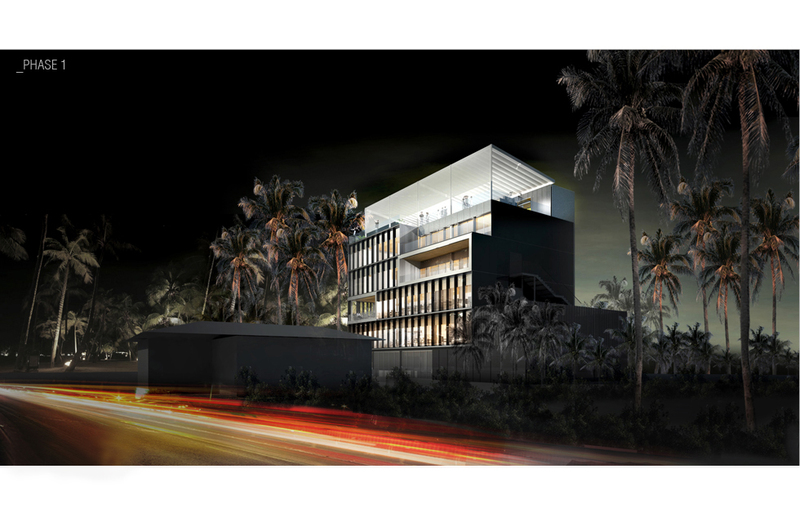 The building will be located in a prime position by the urban beach of Libreville at the mid point between the airport and the city centre. 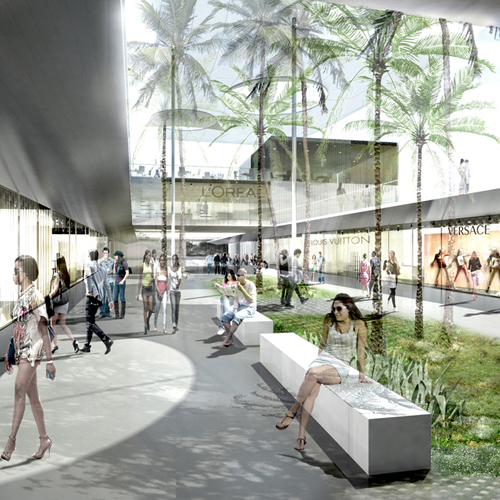 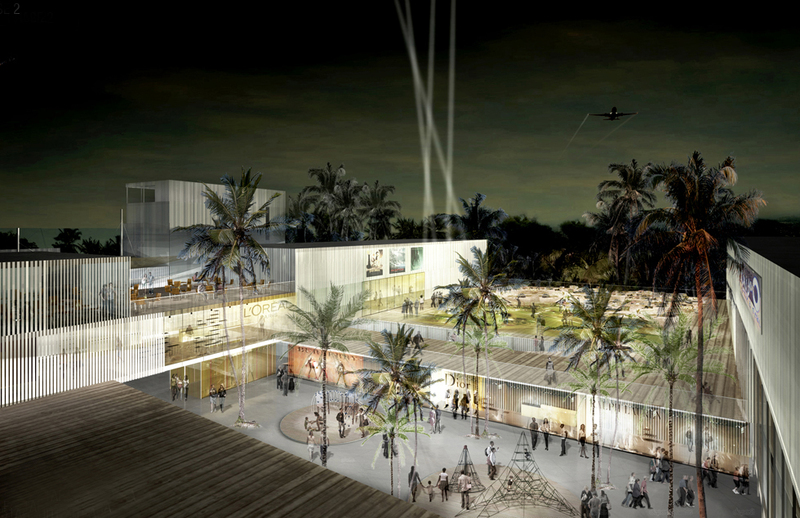 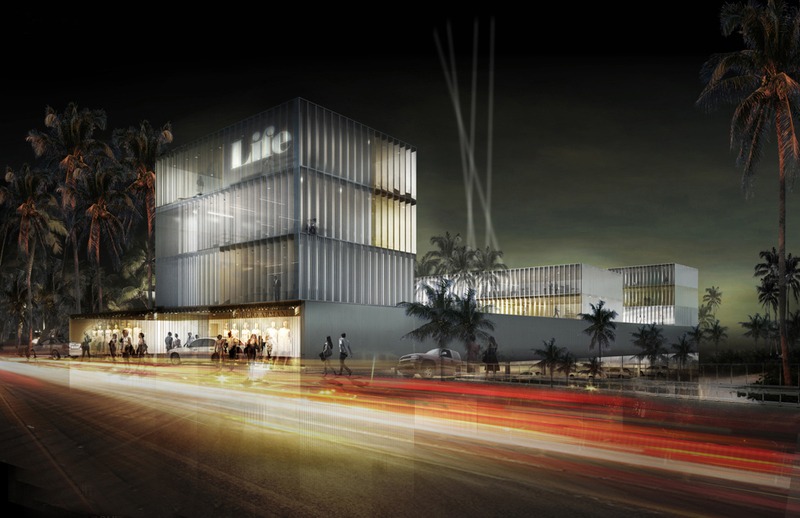 The typological solution for the complex is inspired in the traditional north African urban markets-where shops are organized around open yet enviornmentally controlled spaces- and adapted to the tropical climate of Libreville. 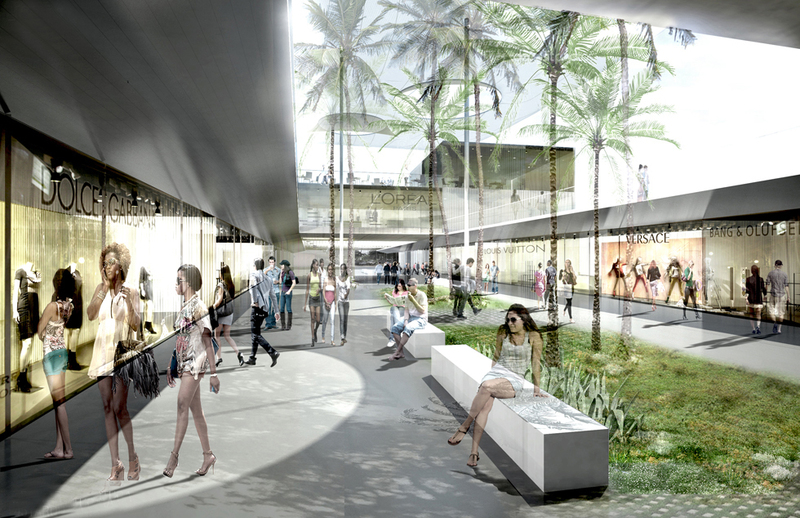 Buildings and open space configure a network where all programs (shops, bars, restaurants, recreational, offices) are intensively interrelated. 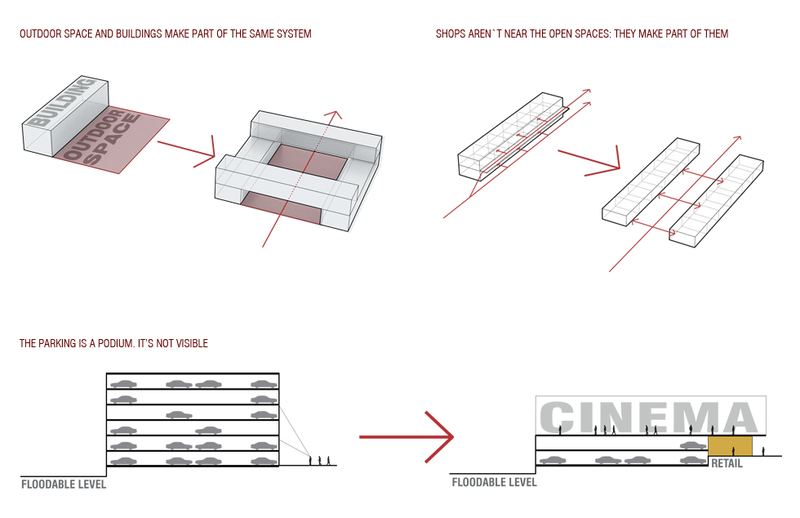 Buildings and open space search to be as multifunctional as possible in order to promote serendipity between users. 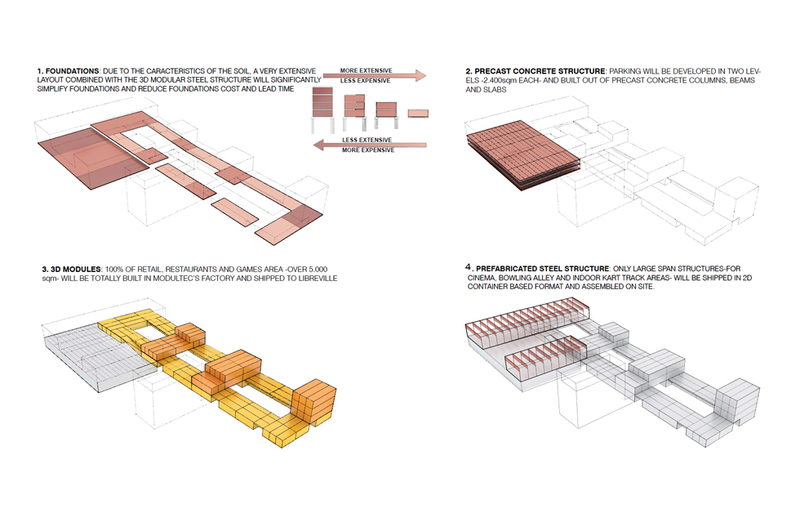 The project makes part of our ongoing research into industrialization as a new construction paradigm for the 21st century. 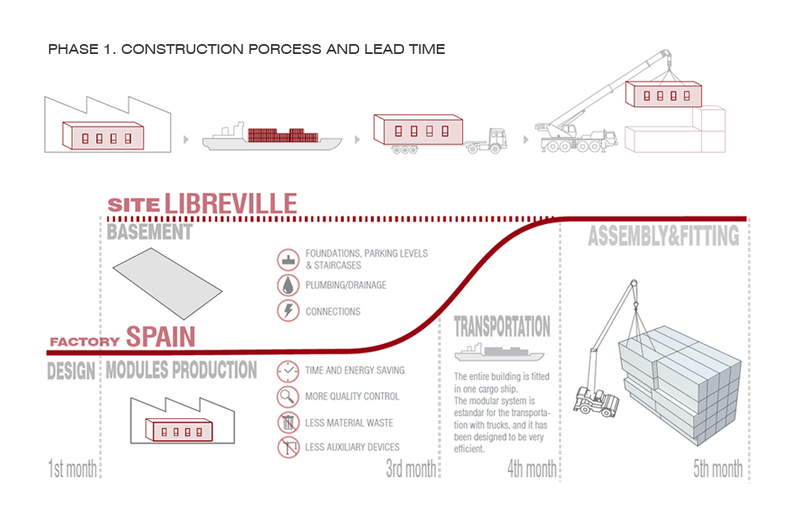 In this case, offshoring concept acquires its most radical meaning, since the building is 95% fabricated 7.250 km away (port to port) from its final location and shipped through the Atlantic ocean. 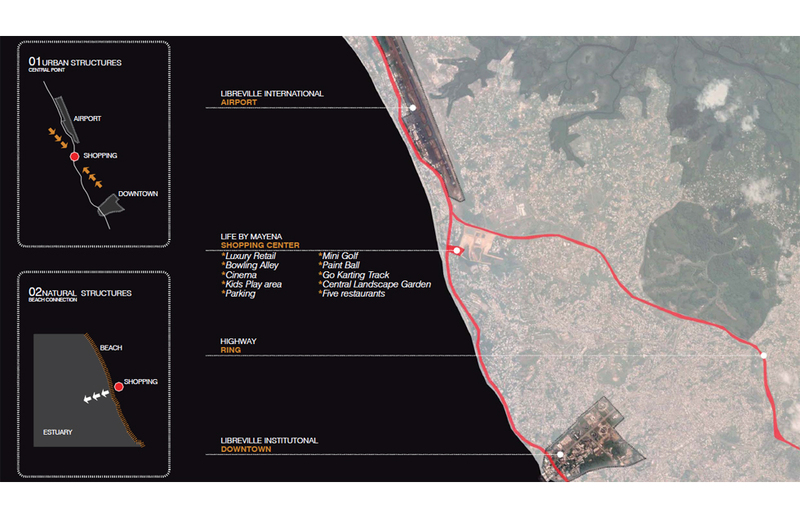 In this case, the luck of production industry able to face the growth urgent demand of Libreville’s tertiary infrastructure make this solution the most appropriate. 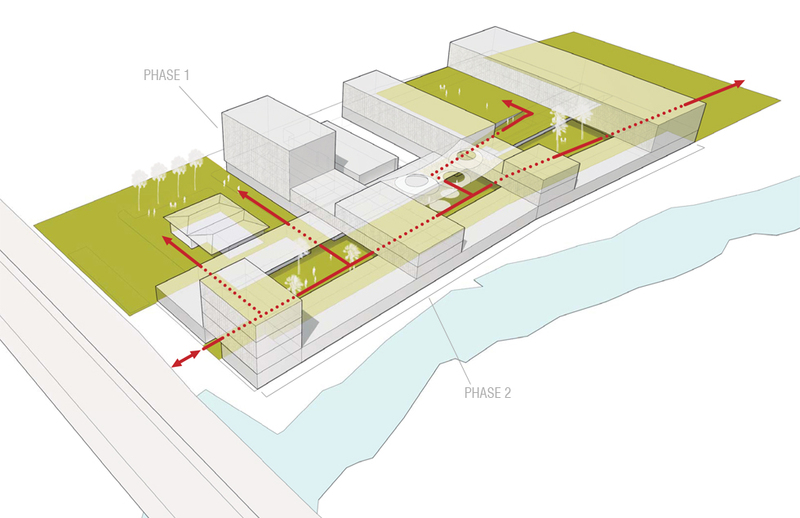 The fact that the factory and the final location are placed very close to the industrial ports of their cities drastically reduces the environmental impact of long distance transportation.